Boston is one of the most easily navigable cities we’ve ever been to. The T system covers a lot of ground, hits all the major points of interest and is conveniently accessible. With parking rates so high in the city coupled with the many attractions around every corner in Boston, in only makes sense to skip the car rental and take the train instead. 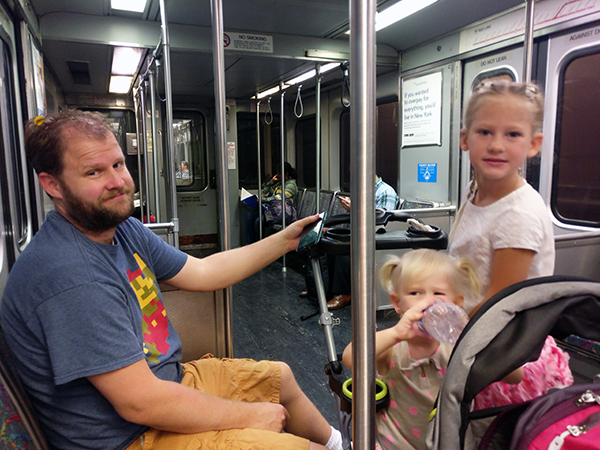 Riding the train in Boston with kids is not only easy, but it’s pretty fun too. 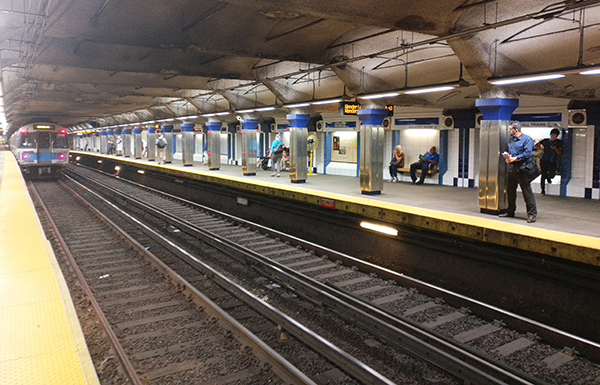 The MBTA Subway in Boston, or the T system, carries nearly 200 million riders a year operating the 8th busiest mass transit system in America. 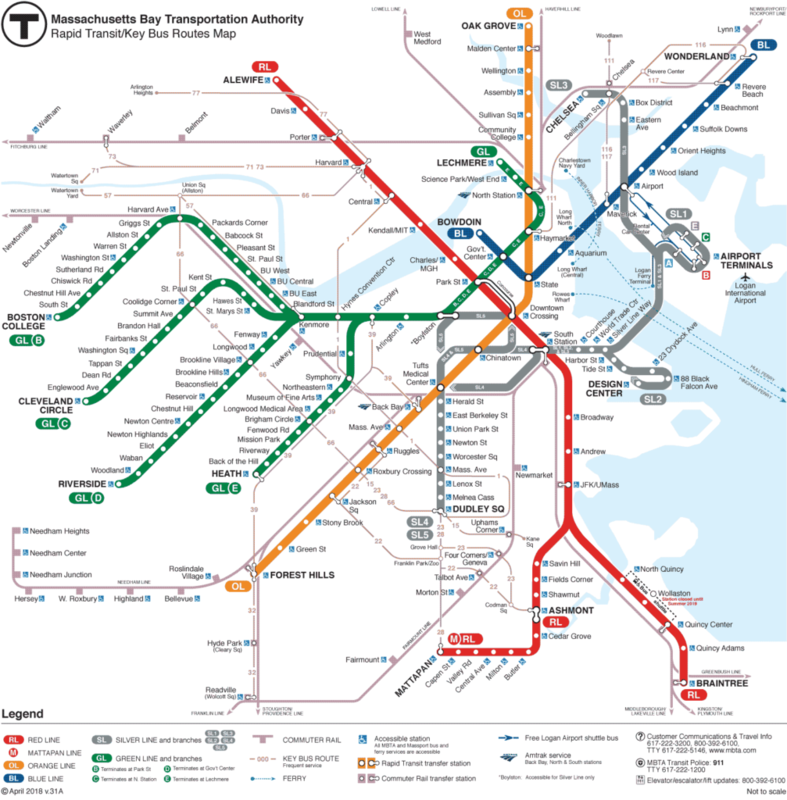 The city of Boston’s MBTA offers five different lines that cover 78 miles from south in Braintree to north in Alewife; east in Wonderland and west on the green line branching out in five different directions throughout downtown. And that doesn’t include the bus system. 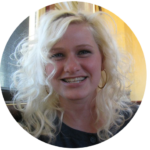 The system is large enough to cover all the hot spots you want to go to, and small enough that it’s easy to navigate and figure out at first glance. The names of each stop are very intuitive and if you still aren’t sure, plug the stop into the navigation system on your phone and it’ll tell you which stop to get off at. Signage is prominent and large. Plus, all the stations are color coded to coordinate with the trains so you’ll never have to guess which line you are on. The trains are safe, and fairly clean and provide a great cultural experience. We stayed just outside the city of Boston, in Medford, at the Hyatt Place. The Hyatt hotel offered a short complimentary 8 minute shuttle to the nearest train station and we took advantage of this every day. The shuttle dropped us off at either the orange line, or the red line, depending on where we wanted to go. 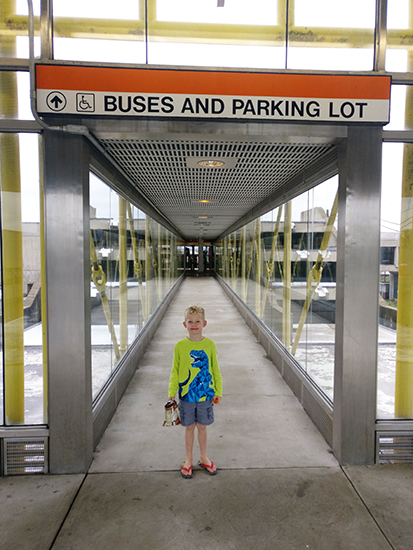 From there, we could ride the train in Boston with kids and access the full MBTA system. We stayed in Boston for a full week, so it made sense to us to purchase an unlimited 7 day pass Charlie Card for $21.25. 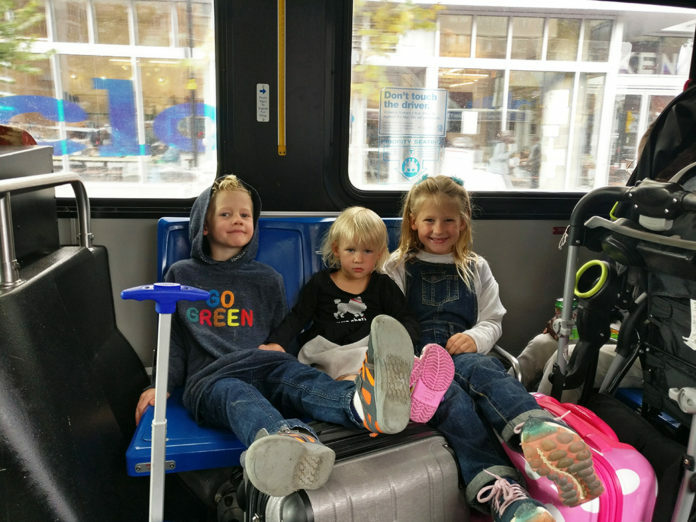 Riding the train in Boston with kids is free for little ones under 12, so for one full week traveling all over the city we spent a total of $42.50 for transportation. That’s $3 a day per adult, or $1.20 per person per day for our entire family. The Charlie Card also included any bus fares. While we found the T system to be very thorough in getting us to the locations we wanted to visit, there were a few times when we missed the shuttle from the hotel and hopped on a bus out of convenience. Since it didn’t cost anything extra it was very advantageous to making the most of our time. The one thing our Charlie Card 7 day pass didn’t include when it comes to riding the train in Boston with kids is the commuter train. During our time in Boston we took a day trip to Salem to explore the Halloween festivities and of course eat chocolate at the Harbor Sweets Factory, but the Charlie Card pass did get us on a train to the station we needed to access to get to Salem. From there we picked up separate tickets with the help of the very friendly MBTA operators. And why is it called a Charlie Card? In 1964 a folk song was written about “Charlie”, whose fate is still unlearned, lacked the 5¢ to pay the exit fare to get off the MBTA. Weird? ► For Kids: Riding local transportation is always a great way to explore the culture of a city. You’ll see and experience far more than you would sitting in a car on the freeway. 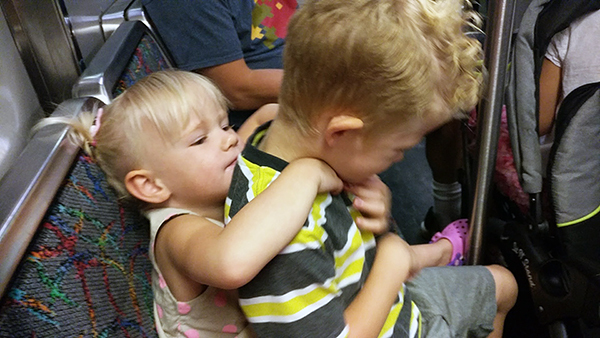 Riding the train in Boston with kids is a great experience. They will love reading the signs, navigating the subway and picking out the routes along the way. 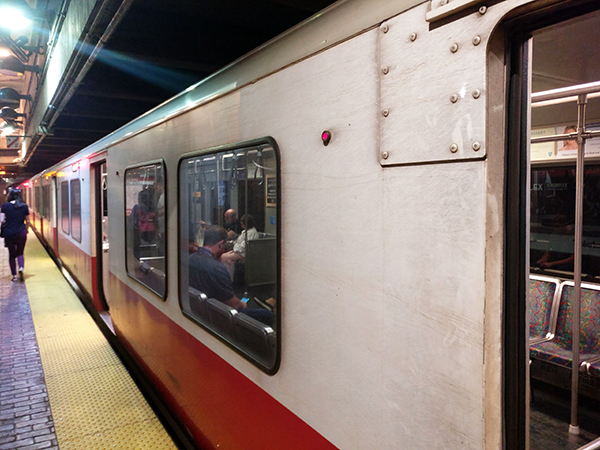 Have you ridden the T system in Boston? How about other cities? We try and utilize local transportation options whenever possible as we gain a profound knowledge of the city this way. 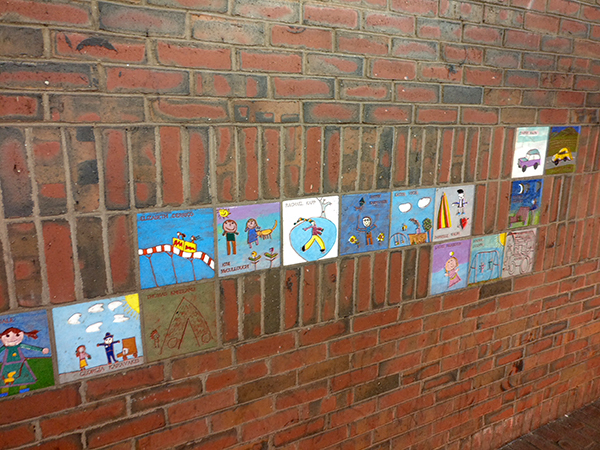 Local Boston mom, Cindy, offers eight great tips about riding the train in Boston with kids! We don’t even mind getting lost because when you take public transportation there is always a bus or train to hop back on! Check out our posts on riding the bullet train and the local trains during our summer in Japan. 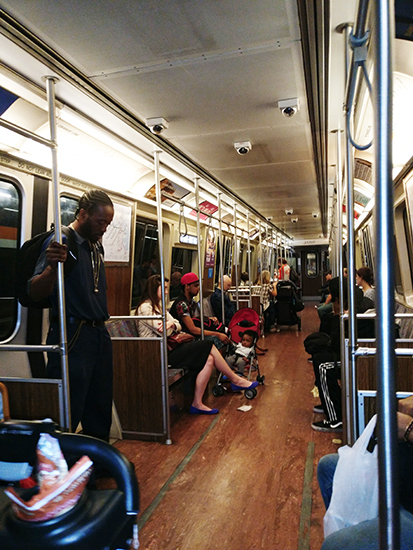 ► Nap-Time Version: Everything you need to know about riding the train in Boston with kids and visiting iconic locations with enjoyment and ease. We loved our family trip to Boston! We discovered incredible food, walked the Freedom Trail, and took the kids on their first college visit to Harvard!